Combine Nutella, butter, and salt in large bowl. Add crumbs, cocoa powder and 1/4 cup of the liqueur, and stir until fully incorporated. Let stand for 1 hour (the crumbs will absorb the liqueur and the mixture will become dry and crumbly). Add more liqueur, one tablespoon at a time, until mixture will form balls that are moist but still hold their shape. 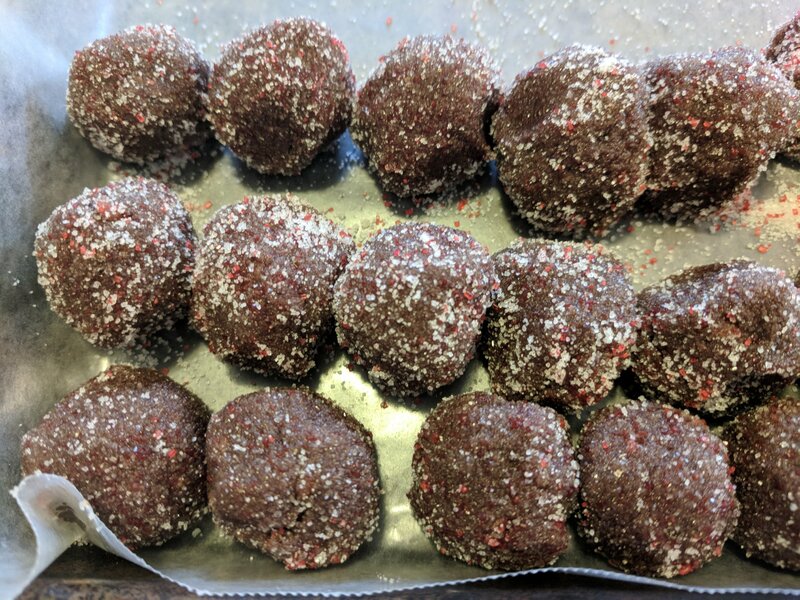 Roll into balls about 1″ in diameter, then roll each ball in sprinkles. Store at room temperature in airtight container for up to two weeks. This recipe was created for a cookie swap with the theme “Santa’s Little Helper” (as in, every submission was required to have alcohol of some kind). They were a pretty big hit! I love these truffles. They rock and they can help you get through the season.